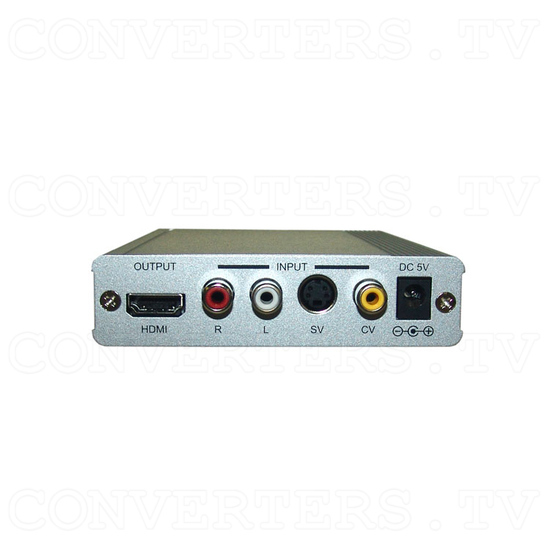 The PAL/NTSC Video to HDMI v1.3 HD Scaler Box is designed to upscale an analog Composite Video or S-Video signal (either PAL or NTSC) to a selectable High Definition HDMI output. This allows you to watch your Standard Definition analog video content on your HDTV at High Definition resolutions (480p, 576p, 720p, 1080i and 1080p). 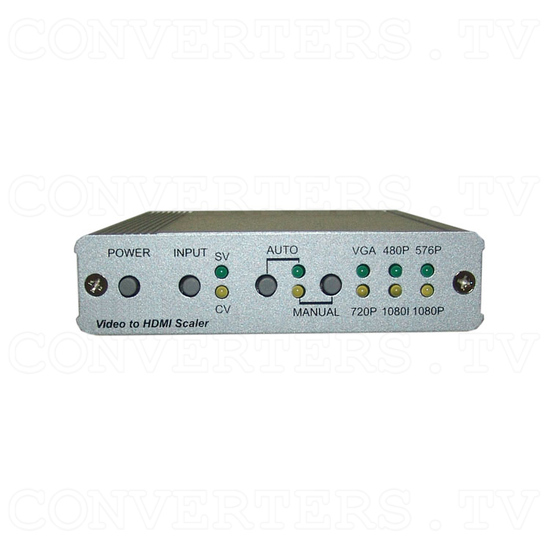 Video output format follows Video input format: -CV/SV PAL in (50Hz) = HDMI PAL out (50Hz) -CV/SV NTSC in (60Hz) = HDMI NTSC out (60Hz) The Scaler Box is perfect for those who are after a simple way to view their standard definition Composite and S-Video sources on their HDTV with high definition image quality. 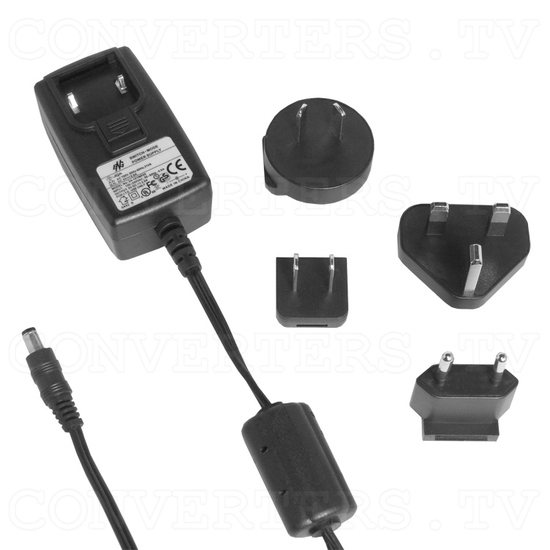 Connecting a standard definition DVD Player or Set-Top box to your PAL or NTSC HDTV using this device allows you to improve the output resolution for display on your TV, leading to better image quality. The PAL/NTSC Video to HDMI v1.3 HD Scaler Box also handles your audio input connection, taking an analog Left/Right Audio input, converting it to digital audio and then combining video and audio signals into one digital HDMI stream. The Scaler Box is perfect for those who are after a simple way to view their standard definition Composite and S-Video sources on their HDTV with high definition image quality. 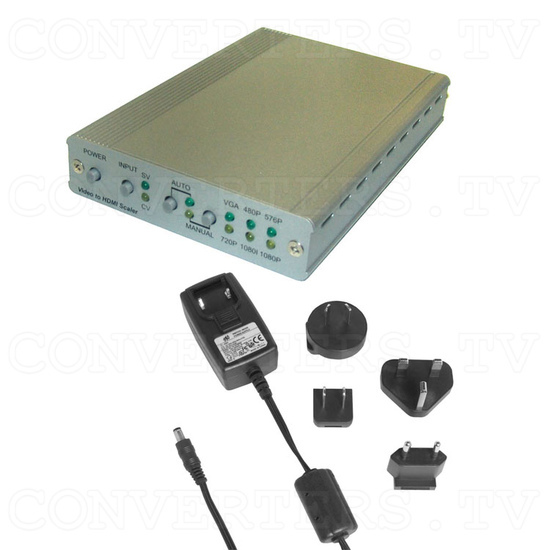 Connecting a standard definition DVD Player or Set-Top box to your PAL or NTSC HDTV using this device allows you to improve the output resolution for display on your TV, leading to better image quality. 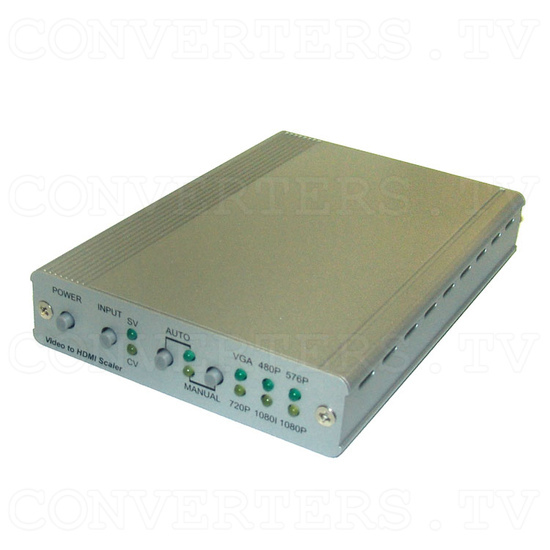 The PAL/NTSC Video to HDMI v1.3 HD Scaler Box also handles your audio input connection, taking an analog Left/Right Audio input, converting it to digital audio and then combining video and audio signals into one digital HDMI stream.